by Annie Shalvey; Reporting by Jared Pliner - PROVIDENCE, R.I. (WPRI) -- A man convicted of murdering the younger brother of a Rhode Island Supreme Court Justice was sentenced to prison Wednesday. 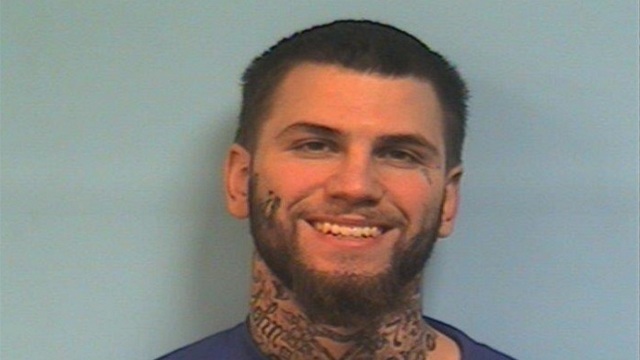 Matthew Marcotte, 23, of Rehoboth, was initially charged with first-degree murder in the stabbing death of William McKenna - but as part of a plea deal, the judge dropped it down to second-degree murder. He was sentenced to life in prison for the murder charge and ten years for conspiracy. Both sentences will be served simultaneously, according to Eyewitness News crews in court. McKenna, 53, was stabbed last winter outside of a Pawtucket convenience store. Prosecutors said another man, Rolando Brooks, punched him outside of the store. "Brooks punched Mr. McKenna once, knocking Mr. McKenna down. While Mr. McKenna was on the ground, this defendant took out a knife and stabbed Mr. McKenna in the neck, transecting Mr. McKenna'a carotid artery," said prosecutor Peter Roklan. He was treated at Memorial Hospital before dying from his injuries. McKenna is the younger brother of Supreme Court Justice Maureen McKenna Goldberg. Marcotte reportedly laughed aloud as McKenna's family spoke to the court. They said McKenna - who had a sizeable criminal record which included domestic, sexual assault and kidnapping charges - battled addiction. The 2011 domestic violence case against McKenna was dismissed. "Bill was not without his demons but with the grace of God, was able to overcome his troubles and return to the loving, caring and thoughtful son, brother and father he once was," said his brother Joseph. A relative also read a letter from McKenna's son, Brian. "My father did not deserve what happened to him. He did not deserve to die that way. He was making things right. And the defendant took that opportunity away." 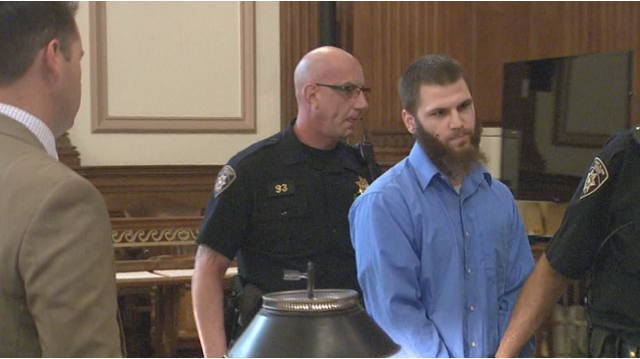 After receiving his life sentence, Marcotte addressed the court, saying, "He got what he deserved. May he rot in [expletive] peace. And that's what I gotta' say." Justice McKenna Goldberg was not present during the sentencing. According to the Supreme Court, the justice had no comment on Wednesday's sentencing.